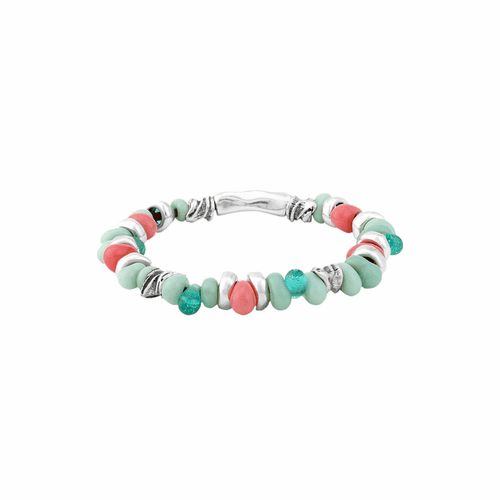 Simple silver-plated bracelet decorated with striking handmade crystals in various shades of blue and green colors and accented by coral beads. A flattering accessory to wear both day and night evoking memories of warm summer days on the beach. 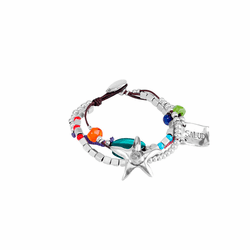 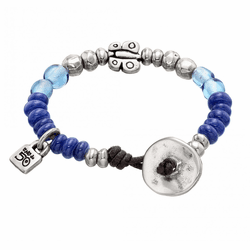 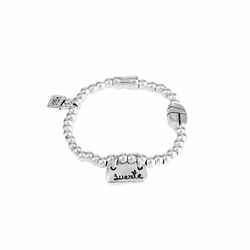 Designed by UNOde50, made in Spain and 100% by hand.